Both the culture and team of an organization are important factors in determining the end results. These are more so with the firms in the investment management industry. 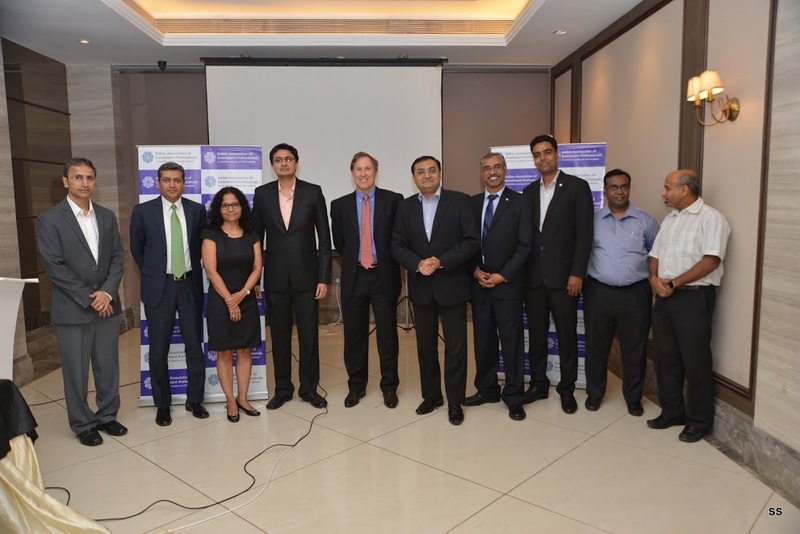 To discuss on this topic IAIP organized a speaker session with Jim Keene, MS, CFA, Managing Director, Atherton Consulting Group, USA, in multiple cities – Mumbai on April 8th 2016, Delhi on 9th, Chennai on 11th and Bengaluru on 12th. The event was well received by the members and participants. Jim compared two models viz. Expert & Team models, and led down the four core practices of the High Performance (HP) teams – Decision rights, Curiosity, Candor and Accountability. In the Expert models the leader gets the information directly from each individual subordinate. While in case of Team the leaders takes into account the views of all the individual subordinates. In the former the decisions are taken by the leader and hence the value of decision making resides with the leader. Whereas in the latter the value resides with the team due to shared decision making. Based on the models or the decision rights allocated to individuals the speed of decision making varies. It is faster when leader decides without depending on information from the subordinates. While it takes reasonably good amount of time in votes-driven or consensus-driven process. Team based models may involve higher level of buy-in among the members of the investment committee. However, if the level of trust within the team is higher than even consensus based decision making can be faster. Secondly, Curiosity of the members could be driven by trust or fear. Fear based curiosity make people defensive and closed. It could create “corporate drama” with people falling into three buckets of victim (taking all the blame), villain (assigning blame) or hero (saving the day). Trust based curiosity is driven by desire to learn genuinely irrespective of the positions of the individuals. Even if one were an expert he will be open to others viewpoint. Robert Frost’s quote adequately fits in “It’s the sign of a truly brilliant mind to see both sides of the issue and still function”. Coming to the third point on candor – honesty and openness – Jim has come across “candor gap” in the organizations. This is a gap between “what is thought” and “what is spoken” by the people. One sometimes run into “Prisoners’ Dilemma” – wherein you either reward or punish to encourage or discourage desired behavior. The gap could be reduced if the teammates understand the difference between the fact and story. Leaders could try to improve their score on “candor mastery”. Finally Accountability, which is defined as taking full (100%) responsibility and having clear agreement of engagement. On the scale of 0% to 200% the victims and villains will have the lowest responsibility while the hero will have the highest score. The balance will be around 100%. While there is no on rule which fits all the organizations these 4 principles, their appropriate combinations and trust form the foundation for the High Performance Teams. This entry was posted in Bengaluru, Chennai, Mumbai, New Delhi, Speaker Events and tagged Anil Ghelani CFA, Anup Maheshwari CFA, Atherton Consulting Group, Biharilal Deora CFA, CFA Institute, Chetan Shah CFA, IAIP, Indian Association of Investment Professionals, Jayesh Gandhi CFA, Jim Keene CFA, Shreenivas Kunte CFA, Sonia Gandhi CFA, Vidhu Shekar CFA. Bookmark the permalink.